How time flies! The 2017 Greenwich Wine + Food Festival is next weekend! And, we have the final schedule of events and list of participants for both Friday and Saturday. The Master Chef Wine Dinner at Roger Sherman Baldwin Park by the water’s edge on Friday, September 22 will honor famed restaurateur and author Scott Conant (“Chopped”, “Top Chef”), with special guest Adam Richman. The event will also recognize the Serendipity 2017 Most Innovative Chefs: Carlos Baez (The Spread), Stavros Karipides (Famous Greek Kitchen), Lisa + Steve Maronian (Sweet Lisa’s Exquisite Cakes), Mike Pietrafeso (Ada’s Kitchen + Coffee), Brad Spence (Amis Trattoria), Ian Vest (Back 40 Kitchen) and Marc Weber (On the Marc Events). In addition, Festival Ambassador Chefs including Mogan Anthony (Village Social), Rui Correia (Douro/Gaia), Constantine Kalandranis (273 Kitchen), Brian Lewis (The Cottage), Christian Petroni (Fortina), Debra Ponzek (Aux Délices), Nadia Ramsey (Méli-Mélo Catering), Robin Selden (Marcia Selden Catering & Event Planning) and David Snyder (Char Restaurant), will serve innovative dishes alongside carefully selected wines and creative cocktails. The evening will be capped off by a live musical performance by platinum-selling southern rock band Big Head Todd and the Monsters (“Bittersweet,” “Broken Hearted Savior”). 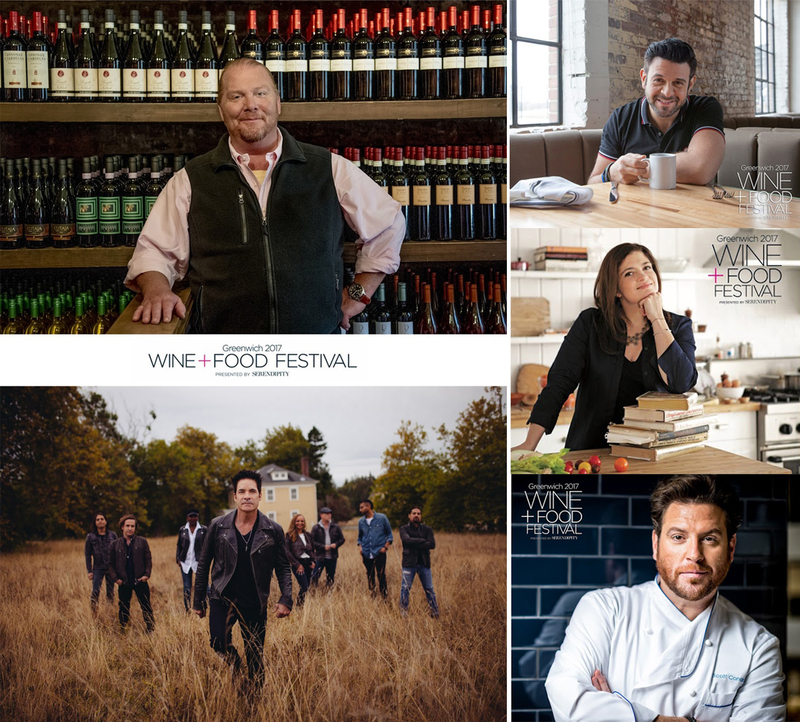 Celebrity chefs Mario Batali, Scott Conant, Alex Guarnaschelli and Adam Richman will be conducting cooking demos, book signings and mingling with festival attendees during the signature day of the festival on Saturday, September 23. Pinot's Palette—Paint. Drink. Have Fun. 12 noon to 5 pm – The Market Place will feature vendors showcasing the culinary world’s newest trends, technology and more. 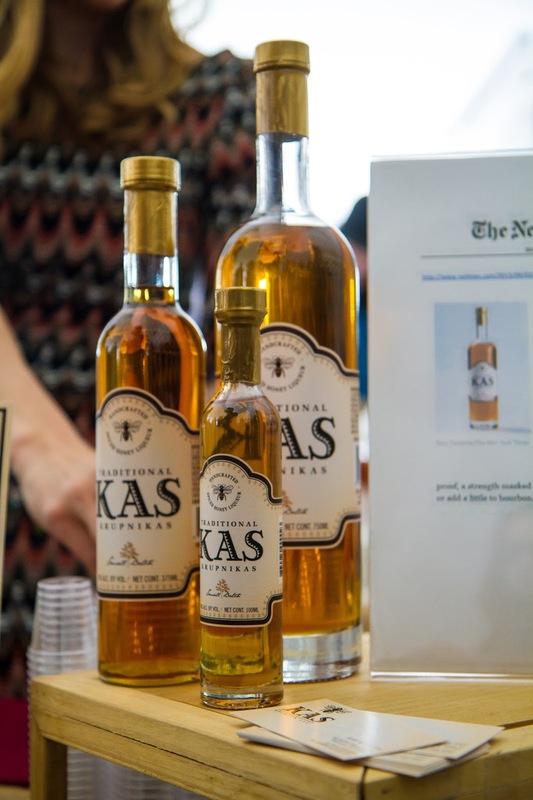 Participants include Chef Folio, Chakarr Jewelry, Colby Davis of Boston Co., Cutco, Diane’s Books presented by Barbara Zaccagnini, India Hicks Lifestyle Collection, Mario Batali Foundation, Sea Bags, The Two Oh Three, WineCards and Wooster Street Meats. 12 noon to 5:30 pm – Lawn Games presented by Rhone will include corn hole, giant Jenga and other fun activities. 12:30 to 5 pm – Ethan Allen Celebrity Green Room will host celebrities and culinary experts and musicians in a luxury lounge while being interviewed by Serendipity contributing editors Chef Matt Storch and Chef Robin Selden. 12:30 to 6 pm – Two stages will feature cooking demonstrations from renowned experts and favorite television network stars. 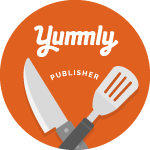 4:00 pm – Samantha Benjamin: Ordinary to Extraordinary Desserts! 12:45 to 6:30 pm – Meet the Master’s Stage will host tasting seminars with mixologists, brew masters and sommeliers and a celebrity panel. 12noon to 10 pm – Festival VIP Tent, offering private bars, secluded seating areas, private restrooms, private concert viewing area and a special VIP Ambassador Chef Dinner at 6:30 pm, featuring cuisine from Ambassador Chefs including Samantha Benjamin (The Dessertist), Arturo Franco-Camacho (Shell & Bones Oyster Bar and Grill), Zach Campion (Bailey’s Backyard), Renato Donzelli (Basso Café), Joe Giordano (Gabriele’s Italian Steakhouse), Anthony Goncalves (Kanopi), Michael Kaphan (Purdy’s Farmer and the Fish), Geoff Lazlo (Mill Street Bar + Table), Stephen Lewandowski (Harlan Social, Harlan Public), Forrest Pasternack (Bianco Rossi, Craft 14 Kitchen and Bar), Gregory Peña (The National), Matt Storch (Match, nom-eez), Bill Taibe (Jesup Hall, Kawa Ni, The Whelk) and Luke Venner (Elm) (Open to VIP Ticket Holders only). 1 to 6 pm – Diane’s Books presented by Barbara Zaccagnini, offers attendees the chance to meet the authors behind favorite cookbooks, and purchase a copy for book signings. 2 to 8:30 pm – The Empire City Casino will offer friendly competition at gaming tables, with dealers offering prizes. 3:30 to 4:15 pm – Fourth Annual Bartender’s Showdown presented by Ketel One, gives area mixologists including Kristina Freitag (Baldanza), Jeff Hodson (Hub & Spoke), Jaime Johel (Craft 14), Juan Meyer (Eastend), Sean Nye (The Spread) and Scott Studwell (Washington Prime) the opportunity to win judge’s and people’s choice awards for the cocktails they create. 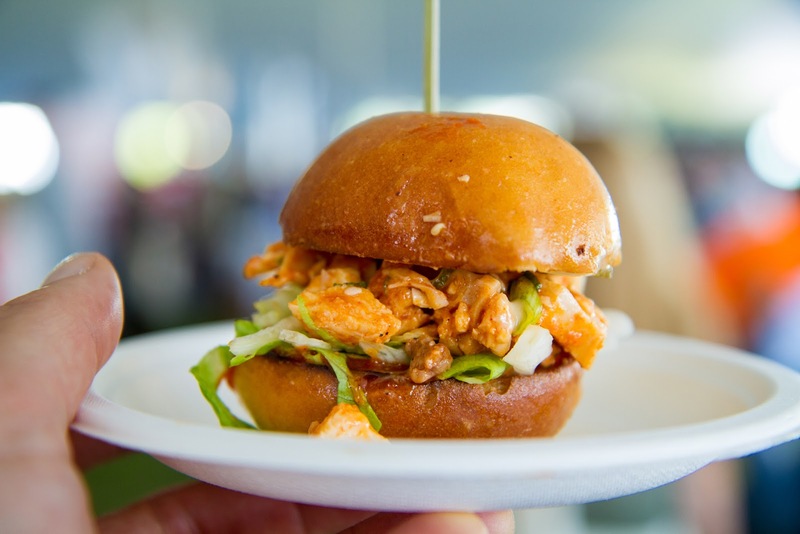 4 to 6:15 pm – Bud + Burgers celebrates the area’s best artisan burgers. Participants include tastings from Bareburger, Brown Dog Fancy, Budweiser, Coals, Dan Rooney’s, Darien Butcher Shop, Hapa Food Truck, Simply Delicious and Westchester Burger Co.
5 to 5:45 pm – The sixth annual Burger Battle, hosted by Adam Richman presented by Angela Swift, will crown the top burger in the area, judged Scott Conant, Kevin Des Chenes Alex Guarnaschelli, Robin Selden, Angela Swift and Bill Taibe. Contestants include Bareburger of Rye, Coals, Dan Rooney’s, Darien Butcher Shop, Hapa Food Truck, Simply Delicious and Westchester Burger Co.
4 to 8:30 pm – The Tailgate Party celebrates one of America’s favorite past times, featuring samples from Anheuser Busch, Caffe Bon, Festivities, Fleishers Craft Butchery, Hapa Food Truck, Hoodoo Brown BBQ, Ketel One, Knot Norm’s Catering Co., Mike’s Organic Delivery, NoRA Cupcake Company, Spiked Seltzer, The Blind Rhino, The Granola Bar, The Greatest Blaze +& Co., The Whey Station and Woodfood Reserve. The Bar-B-Que Pitmasters Stage with Chris Sexton, Cody Sperry + Friends will feature grilling and cooking tips, butchery and cuts of meat and more. 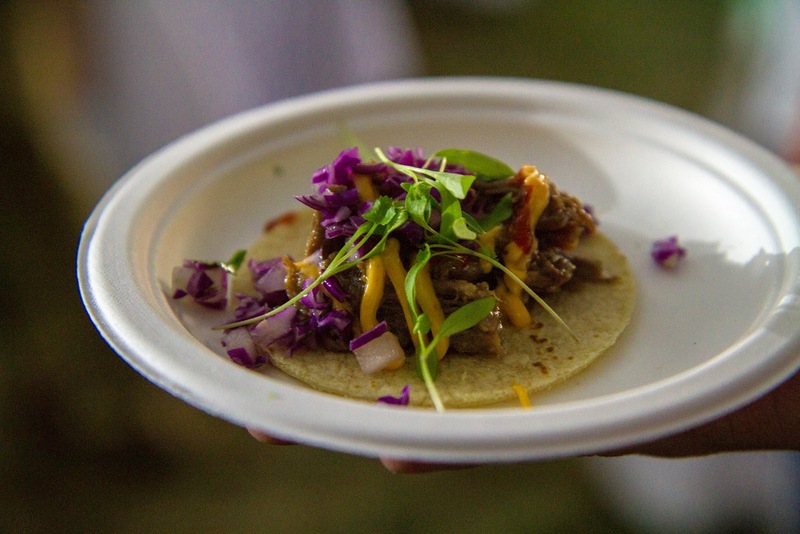 4 to 8:30pm – The Don Julio South of the Border Fiesta celebrates the bold flavors and festival cocktails from south of the border. Participants include Brasitas, Don Julio, Halstead Ave Taqueria, Little Mexican Café, Pacifico, Sonora Restaurant and Tomatillo Taco Joint. 6 to 10 pm – Saturday Night Intimate Stage + Lawn Dinner will offer guests the chance to mix and mingle with Mario Batali, Scott Conant, Alex Guarnaschelli, Adam Richman and Mary Giuliana over cocktails and oysters by Saltaire. The seated dinner features a three-course meal prepared by Chef Rui Correia of Douro Group with liquor table service, and the best seats in the house for the evening’s live musical performance (Open to VIP Stage & Lawn Dinner Ticket Holders Only). 6:30 to 8pm – The Ian Murray Band will kick off the evening’s musical performances. 8:30 to 10 pm – Platinum-selling rock band Train (“Play That Song,” “Drops of Jupiter,” “Hey Soul Sister” and “Meet Virginia”) will close out the event. Tickets are now available; visit www.greenwichwineandfood.com for ticket options and to purchase, or call 203.588.1363. The event will be held rain or shine, and anyone under 21, including infants or strollers, will not be admitted. Animals are also not permitted. Please note this schedule is subject to change. For more information, visit www.greenwichwineandfood.com.